He had also taught the Siletz people over a period of about 10 years the Tolowa language and helped them restore their Athapaskan dances, songs and provided the inspiration for the Siletz Dancehouse. I credit Loren as being the inspiration for the restoration of the traditional cultures of the Oregon and northern California coast over the past 30 years. Because of my long discussions with Loren, and with his invitation, I decided to focus my Masters studies in Anthropology on the culture and society of the Tolowa People of northern California. I planned a trip to stay in Del Norte County during the summer of 1999 and stayed with Elmer Hostler in his house for over a month. While there I remember having discussions with Elmer about his experiences as a logger in California, Oregon and Alaska. My research was basically in three stages. First, I engaged in collecting documents related to the tribe’s history. I collected a full bankers box full of documents. Then I also collected documents from the local law library about some of the legal cases involving the Tolowa Indians. Finally I engaged in oral histories with about a dozen individuals in the tribe. I went to Smith River seeking to ask a number of open ended questions and came away with a final project. While in Smith River I found that what the people really wanted was to preserve access to their North/Indian beach area of the coastline. This is a long stretch of sandy beach that extends from the inlet of the Smith River to the Oregon Border, about 7 miles. The beaches in California are not protected for public access like they are in Oregon, and so private companies can own beaches and beach access. I learned this first hand when I lived in Santa Rosa in the 1980s and would float with friends down the Russian River. Whenever we would stop at a rocky beach, security guards would tell us to get off the beach as it was reserved for the rich owners. The bluff above the Indian Beach was being developed into housing and the tribe was afraid that would mean they would no longer have access to the beach. The Indian beach is where the Dee-ni Tolowas had been going for thousands of years to collect surf smelt. They would establish a fishing camp on the beach in the dunes and for three weeks they would sleep and live at the beach and would wait for the fish to run. 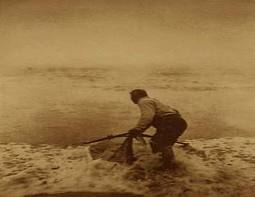 When the runs began they would catch the small oily smelts in A frame nets. The nets are handmade and designed to capture the smelts in the “belly” once the user raises the front of the net. Once caught the fish are laid out in rows on the beach to sun and wind dry. The Dee-ni would also hunt ocean mammals and swim around the large offshore rock when young men would race one another in tests of manhood. Then they would also gather wild strawberries and sedge grasses for weaving. They would also tend to the sacred rocks on the beach during this time. I surmised that for thousands of years the Dee-ni had been fishing this area of the coastline and drying the smelt for storage and trade and then transporting the smelt to their home village at Howonquet. The Dee-ni had the use of redwood to make very large canoes that are suitable for ocean travel. Canoe travel along the coastline was a regular occurrence and the Dee-ni would trade with people north and south of them. The Dee-ni had a series of political districts, polities, that they called Yetlein. Each Yetlein was owned by a particular tribe or band and they would own a strip of land from the coats to the mountains. The Yetlein system was likely in place from the Klamath river up the coastline into Oregon and up the Rogue River with all of the Athapaskan speaking tribes. Outside of this economic and political system was an annual gathering of Athapaskan people in Yontocket for the Nee-dosh, or World Renewal ceremony. At Yontocket, on the south side of Smith River the Tolowa’s oral history has them all landing sometime in the past, having traveled down from the frozen north in canoes. In the 1850s Yontocket was burned and was renamed “Burnt Ranch” (see the chronology below). The project I came away with was an Archaeological and Traditional Cultural Property Nomination for Indian Beach to the National register of Historic Places. I completed the nomination in about a year and submitted it to Smith River Rancheria for them to take it forward should they choose to. My thought was that it was improper for me to submit the nomination as only a visitor to their land, that the tribe should do this themselves. The nomination would not assure that the tribe kept access to Indian Beach but would document the importance of the beach and the tribe could then apply pressure on the landowner through federal State Historic Preservation office to allow access for the tribe to continue their traditions. This is opposite from what others think I should have done, because at that time there was no one at Smith River that carried forward with the nomination. Later, I revisited the tribe and made copies of all of the documents I had collected and gave them copies. To date the nomination has never been completed. In the intervening years I heard that access to the beach is being maintained, fish camp is proceeding, but by what mechanism the tribe maintains access, I am unsure. Below is the Historic Timeline I devised from reading many historic documents and discussing the Dee-ni history with members of the tribe. If there are events I miss, please submit them to me for inclusion. Thank you all people of the Dee-ni Tolowa Nation for all of your help on this project, especially the Bommelyn family who have remained my friends for so long. “Living in the Law of the Creator,” genesis to 1850 A.D. (Reed 1999:7). Genesis at Yontocket Tolowa Deeni and other Southwest Oregon, Northern California Athapaskans (Bommelyn 1985, 1997; Reed 1999). 8200 B.C.E: Indian Sands site, Earliest known archaeological date on the Oregon Coast, and within the Athapaskan language region (Moss and Erlandson). Time of Test-ch’as: Earth-flooding tsunami scrubbed the earth clean, those sent to Mount ‘En-May survived (Bommelyn 1997). 310 B.C. : Earliest radiocarbon date from Point St. George I occupation (Gould 1966a, 1978). 1200 A.D.: Archaeological dates from CA-DNO 300 & 301, on the bluff at Indian Beach. Also estimated time of migration of the Athapaskan language into Oregon and California (Moretto). 1775 & 1793: Maritime explorer George Vancouver lands at Trinidad Bay and names Point St. George. 1775-? : Epidemic diseases forced abandonment of Point St. George village. 1824: Smallpox epidemic (Dubois: Reed 1999: 26). 1828, June 9th: First contact by Tolowa with White Men, Jedediah Smith party (Gould 1978). ✧ Acorn and Salmon famine (Slagle 1985: 21). ✧ Rekwoi/ Hawinwet (sic)-Hupa War. 1830: 4,000 Tolowa estimated (Reed 1999:41). 1832: Joe Lopez shipwrecked off shore of Crescent City, adopted by Tolowas (Slagle :49). 1836: Measles epidemic (Reed 1999:26). “The World is Turned Upside Down,” 1850-1856 (Reed 1999:xxiii). ✧ Tolowa battle at Requa with Yurok. ✧ California admitted to the United States. 1850-52: Tolowa Conquest of Tututnis, Chetcos, Rogue River Athapaskans. ✧ First white settlement of Del Norte territory at Happy Camp (Bledsoe 1956: 66). ✧ Spring, McDermott party sees Crescent City bay (Bledsoe 1956: 69). ✧ 4 Tolowas killed by vigilantes in retaliation for death of two prospectors. 1851, March 19-1852, January 7: Redick McKee, United States Indian Agent, expedition to Northern California. McKee doesn’t reach the Tolowa region and travels up the Klamath River. 18 California Treaties written by three agents in California, McKee, Barbour, Wozencraft. 1852: ✧ White settlement in Crescent City begins. ✧ June 8: U.S. Senate unanimously rejects the 18 California treaties (Prucha 1994:244). 1952-53: Winter, First land warrant purchased on site of Crescent City for J. F. Wendell. Declared invalid because of prior U.S. claim, bought from U.S. at $2.50 an acre (Bledsoe 1956: 69-70). ✧ U.S. Congressional Act of March 3, to establish five military reservations in California. ✧ Fort Humboldt established on Humboldt Coast. ✧ Battery Point Massacre, Crescent City. ✧ (1st Massacre) Yontocket Massacre (Burnt Ranch Massacre), during Nee-dosh. (Slagle, King, Bommelyn, Parkman) 450 dead (Bommelyn). 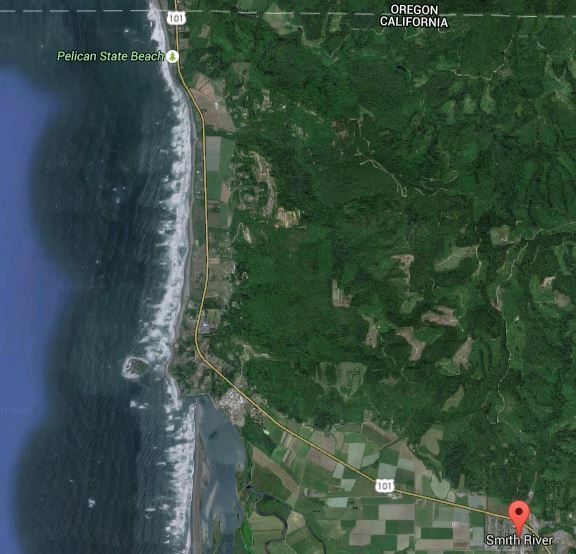 ✧ Port Orford Agency established in Oregon. ✧ Earliest farming settlements in Smith River Valley on Rowdy Creek (Flynn 1981; Bledsoe 1956: 70). ✧ 300 Whites settled in Crescent City (Reed 1999:53). ✧ 7 Tolowas murdered on Smith River, others on Jordan Creek. ✧ Black Mow murder and hangings. ✧ Incorporation of Crescent City. ✧ July 31: Congressional Act to limit number of reservations to three. ✧ first settler’s crops harvested. ✧ Jan. 1: (2nd Massacre of Yontocket) Achulet killings. (1854) during Nee-Dosh where seven layers of the people were burned (Bommelyn 1999). ✧ Howonquet Massacre, Howonquet burned and ~70 people killed. Population centers on Chetco, Pistol and Rogue Rivers and Coastal Plain were decimated. Village (Stundossun) is rebuilt on the island at the mouth of the river (Bommelyn 1999). ✧ March 3: action to establish Smith River Reservation, treaties signed on the Rogue River at Agness and with Crescent City Militia at Treaty Rock, Howonquet (Bommelyn 1999). ✧ Oregon Coast Reservation established. ✧ Rogue River Indian Wars begin. ✧ Klamath Reservation established (Flynn 1984: 14). ✧ Howonquet attacked again, Tolowa flee to Gold Beach, Oregon (Slagle 1985: 26). ✧ 126 people imprisoned on Battery Point Rock for one year, others on Smith Island (Stundossun) in October (Bommelyn 1985). 1856-57: (Trail of Tears) 600+ Indians from the south Oregon coast and Smith River marched and shipped to Grand Ronde and Siletz reservations. Many escaped and returned to Smith River. ✧ August 7: Treaty of removal to Klamath Reservation, CA. Between 200 and 500 Tolowa went. Driven to Wilson Creek, then to Fort Terwer on Klamath Res., then to Waukell Creek in August , then to Smith River. 650 people to Wilson Creek between 1852-56 (Bommelyn 1985). ✧ Del Norte County separated from Klamath County. ✧ Tolowas removed to Siletz, Grand Ronde, Umatilla, Warm Springs reservations following Chetco-Rogue River Indian war. ✧ February 25: Indian Island massacre in Humboldt Bay, at World Renewal ceremony. 2 other massacres the same night, 300 killed. 1861: December, Crescent City, Smith River, Klamath River, all flooded. Klamath Reservation abandoned (Reed 1999:89). ✧ 400+ Humboldt Indians removed to Smith River Valley (SMD 79, 37-2,  1861-62). However, Humboldt Times (Sept. 6, 1862) reported the numbers between 800-900 Indians (Coy 1929). ✧ May 3: Smith River Reservation created by Presidential Executive Order. 400-500 Tolowa returned (Kappler 1904). Yuroks, Matolles, Wylackies moved to Smith River Rancheria, and most later escaped to their homelands (Reed 1999:91). ✧ Sept. 11: Camp Lincoln established (Reed 1999: 92). ✧July 27: Smith River Reservation terminated (Congressional Globe, 40th Cong. 2d Sess. : 561)(Stat. L., vol. 15, p.22). ✧July 27: Tolowas, Humboldts, Wyllackies removed from Smith River Reservation to Hoopa Valley and Round Valley reservations (Congressional Globe, 40th Cong. 2nd Sess. :561; SED 83, 40-2 v2 ; Bommelyn 1985) . Wiyot people exterminated for “escaping” (Bommelyn 1985). 1869: First commercial sawmill in Del Norte County, located on Lake Earl (Flynn 1984: 16). 1872: Ghost Dance religion reaches Tolowa and local dream-dance cult forms (Gould 1978). ✧ Dawes Act begins Indian allotment. ✧ Jane Hostatlas allotment begins, becomes Nelechundun (Henry Ranch). 1892: BIA sets aside 22 public domain allotments for the Tolowa. 1903: Stundossun Island begins to erode. 1905, January 18: Injunction of secrecy lifted from 18 California Treaties (Reed 1999: 150; Prucha 1994:244 in note). 1905-06: 205 Tolowa censused, enumerated by Northern California Indian Association (Reed 1999: 130). ✧ Stundossun Village disappears, except for 2 houses. ✧ Stundossun cemetary relocated to mainland (Slagle :48). ✧ Congressional Act of June 21, 82 rancherias created for landless and homeless Indian. ✧ Smith River Rancheria reestablished from lands purchased by Act of June 21, 1906. 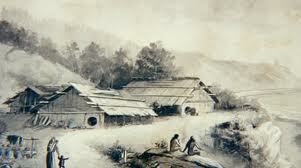 ✧ Howonquet people move from Stundossun to Smith River Rancheria (Slagle :48). ✧ Last Ten-day Nee-dosh held at Stundossun, only two houses remained (Bommelyn 1985). ✧ Elk Valley Rancheria established (Reed 1999: 133). ✧ 121 people censused (Bommelyn 1985). 1912, March 11: Hunters Rock and Prince Island are set aside by Executive order for the use of Smith River Indians (Kappler, 1913). 1913: Achulet and Mecntendun people forced to move to “B” Street in Crescent City (Bommelyn 1985). 1917: Anderson v. Mathews decision makes all Indians U.S. citizens (Reed 1999: 148). 1919-1924: BIA and Congress pass Indian U.S. citizenship acts and policies (Reed 1999: 148). 1920-1946: California Indian Claims settlements (Reed 1999: 133). 1921: Circular 1665, BIA restricts and prohibits Indian spiritual ceremonies, Nee-dosh is moved to private residences. ✧ 254 Tolowa in census (Bommelyn 1985). ✧ Norman George fishing rights and reservation status case (Reed 1999: 149). 1927: Indian Shaker Religion comes to Smith River Rancheria (Bommelyn 1985). (1926-Gould 1978; Buckley 1997 ). 1927-1928: Indian Marathons, 480 miles from San Francisco to Grants Pass (Reed 1999: 153). 1928: California Indian Claims action begins. 1928-32: Indian Shaker Church is built (Bommelyn 1985). 1929: Del Norte Indian Welfare Association established (Bommelyn 1985). 1934: Federal ban on Indian religion (Slagle 1985: 355). 1936: Pebble Beach Tolowa (Melstltetltun) move to Elk Valley (Slagle 1985: 33). 1946: California Indian Claims Commission Act (Reed 1999: 176). ✧ Death of Rawleigh Grimes marks end of occupation of Yontocket (Bommelyn). ✧ Howonquet Indian Council is created (Reed 1999:185). 1958, August 15: Smith River & Elk Valley rancheria terminated by Congressional Rancheria Termination Act. 1960, November 9-25: “the Distribution Plan” for the assets of the Smith River Rancheria is approved by Secretary of the Interior and the Tolowa. 1966: July 22, Howonquet Community Association is created to take over title of community trust lands, persuant to Act of August 15, 1958. 1967: July 29, Federal supervision over Smith River Rancheria is terminated pursuant to “the Distribution Plan.” Certain parcels are turned over to Howonquet Community Association pursuant to Act of August 18, 1958. 1960s, late: Prayer Rock blown up for fill for Crescent City jetty, this happened during fish camp time. 1969: Tolowa language classes begin at Del Norte High School, taught by elders (Bommelyn 1985). ✧ Tolowa language becomes high school credit-bearing class and eligible for college entrance language requirements. ✧ Nelechundun Business Council formed, later becomes Nelechundun Culture Association. ✧Yontocket (Burnt Ranch) Historic District declared National Historic Property (King 1973). 1974: Gasquet-Orleans Road case begins. 1977-78, March 23 to December 11: Indian Shaker Church of Washington sues for trusteeship of Indian Shaker Church of Smith River, suit fails. 1981-1987: California Coastal Commission holds hearings and certifies Point St. George as “Agricultural prime” and “Resource Conservation.” Lopez Creek (Indian Beach) approved for development (Brown et al. 1987). ✧ August 23: Smith River and Elk Valley rancherias restored from conclusion of Tillie Hardwick case (Bommelyn, Personal Communication 2000). ✧ Tolowa Nation formed, applies for Federal recognition. 1986: Smith River Rancheria office established (Reed 1999: 188). 1987: Medical and Dental clinic built (Reed 1999: 188). 1988: Indian Gaming Regulatory Act. 1994: Dance House completed at Nelechundun, begun 1980’s. 1995: Suit brought against State of California and Governor Pete Wilson for bad faith negotiations by a consortium of California tribes. Dropped in 2000. 1996, July: Lucky 7 Casino at Smith River Rancheria opens. 1998: Proposition 5, people of California support Indian gaming, 63% in favor, declared unconstitutional. ✧ Proposition 1A, Casinos in California are guaranteed to Indian tribes by constitutional reform, 67% in favor. ✧ March, Smith River Rancheria changes name to Tolowa Deeni Nation. ✧ Newly remodeled Lucky 7 Casino opens. 1975 Requiem For a People: The Rogue Indians and the Frontiersmen. University of Oklahoma Press, Norman. 1981 The Tolowa Language. Center for Community Development, Humboldt State University, Arcata, CA. 1995 Now You’re Speaking Tolowa. Center for Community Development, Humboldt State University, Arcata, CA. 1997 The Prolegomena to the Tolowa Athabaskan Grammar. Master’s Thesis, University of Oregon, Eugene. 1939 Culture Element Distributions: X, Northwest California. Anthropological Records 1(6):, University of California Press, Berkeley. 1937 The Tolowa and Their Southwest Oregon Kin. Reprinted From: University of California Publications in American Archaeology and Ethnology, 36 (4), University of California Press, Coyote Press, Salinas, CA. 193? Tolowa geography. SWORP Archive, University of Oregon, Eugene. 1932 Tolowa Notes. American Anthropologist New Series, 34 (2), American Anthropological Association, Smithsonian Institution, Washington D.C.
1934 General Ethnographic Notes on the Tututni (Rogue River) Indians. Lowie Museum of Anthropology, UC Berkeley, CA. 1936 The Wealth Concept as an Integrative Factor in Tolowa-Tututni Culture. Lowie Museum of Anthropology, UC Berkeley, CA. 1984 Archaeological Survey of the Reservation Ranch-James Property, Indian Road, North of Smith River, Del Norte County (APN 102-14-02 & 03). Archaeological Resource Service, Novato, CA. 1966aArchaeology of the Point St. George Site, and Tolowa Prehistory. University of California Publications in Anthropology, 4, University of California Press, Berkeley. 1966b Indian and White Versions of “The Burnt Ranch Massacre”: A Study in Comparative Ethnohistory. Journal of the Folklore Institute, 3 (1). ? 1978 Tolowa. 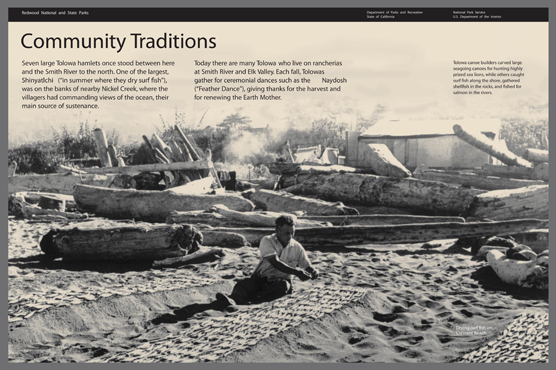 Handbook of of North American Indians: Volume 8, California, Smithsonian Institution, Washington D.C.
1995 People of the Coquille Estuary: Native Use of Resources on the Oregon Coast. Words and Pictures Unlimited, Corvallis, OR. 1996/97 Fish Camp. News From Native California, 10 (2) Winter, Heyday Books, Berkeley. 1981 The Papers of John Peabody Harrington in the Smithsonian Institution, 1907-1957, Alaska/ Northwest Coast; Reels 25 & 26. Millwood, N.Y.: Kraus Int. Publ. University of Oregon microfilm, Eugene. 1940 Wiyot Notes. University of California, Berkeley. 1981 Lakes Earl and Talawa Project (Former Home of the Erl and Tolowa People). Department of Parks and Recreation, CA. 1973 Yontocket Historic District: National Register of Historic Places Inventory – Nomination Form. Santa Rosa, CA. 1920 California Culture Provinces. Publications in American Archeaology and Ethnology, 17 (2):, University of California Press, Berkeley. 1952 The Nature of Culture. University of Chicago Press, Chicago. 1976 Yurok Myths. University of California Press, Berkeley. 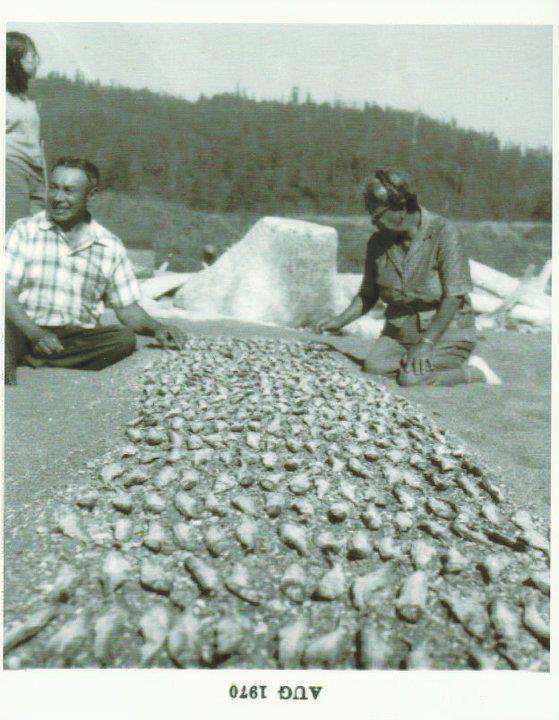 1960 Fishing Among the Indians of Northwestern California. Anthropological Records, 21 (1):, University of California Publications, Berkeley. 1999 Economic Development of Smith River Rancheria fieldnotes. Unpublished manuscripts and tapes, Eugene. 1994 Living in a Well-Ordered World: Indian People of Northwestern California. Redwood National Park, Crescent City, CA. 1984 California Archaeology. Academic Press, Orlando. 1973 An Archeological Overview of Redwood National Park. Publications in Anthropology, 8, Cultural Resources Management Division, Western Archeological Center, National Park Service, Tucson, AZ. 1984 An Archeological Evaluation of the Yontocket Village Site (CA-DNO-19), Lakes Earl and Tolowa Project. California Department of Parks and Recreation, Northern Region Headquarters, CA. 1985 Yontocket: Returning Balance to the Center of the Tolowa World. Presented at: First Annual California Indian Conference, University of California, Berkeley. 1986 A Stone for Yontocket. Presented at: Second Annual California Indian Conference, University of California, Berkeley. 1988 Yurok Fishing. News From Native California; 2 (3):, July/August, Heyday Books, Berkeley. 1978 Yurok. Handbook of of North American Indians: Volume 8, California, Smithsonian Institution, Washington D.C.
1970 Yontocket Village: National Register of Historic Places – Nomination Form. United States Department of the Interior, National Park Service, Washington D.C.
1960 RS59C, Humboldt State University Archives, Internet edition. 1960 RS60C, Humboldt State University Archives, Internet edition. 1960 RS61C; Humboldt State University Archives, Internet edition. 1988a CA-DNO-300. Archaeological Site Record, Archaeological Resource Service, Novato, CA. 1988b CA-DNO-301. Archaeological Site Record, Archaeological Resource Service, Novato, CA. 1988 Archaeological Evaluation of a Parcel North of Lopez Creek, Del Norte County, California. Archaeological Resource Service, Novato, CA. 1992 A Determination of the Boundaries of Two Archaeological Sites in the Twin Rocks Subdivision, Del Norte County, California. Archaeological Resource Service, Petaluma, CA. 1997 The Rogue River Indian War and Its Aftermath, 1850-1980. University of Oklahoma Press, Norman. 1994 Collecting Culture: The Practice and Ideology of Salvage Ethnography in Western Oregon, 1877-1942. Ph.D. Dissertation, University of Washington. University Microfilms, Ann Arbor, MI. 1985a Huss: The Tolowa People. Unpublished Manuscript, Center for Community Development, Humboldt State University, Arcata, CA. 1985b The Tolowa Nation of Indians. Unpublished Manuscript, Center for Community Development, Humboldt State University, Arcata, CA. 1942 Yurok Narratives. University of California Press, Berkeley. 1991 To the American Indian: Reminiscences of a Yurok Woman. Heyday Books, Berkeley, CA. 1922a BAE Correspondence, Jan. 18. SWORP Archive, University of Oregon, Eugene. 1922b The Tolowa of Northwestern California. SWORP Archive, University of Oregon, Eugene. 1921-22 Notes on Tolowa Culture & Geography 1921-1922. Microfilm, University of Oregon, Eugene.